I’ve kept my promise to stay away from easy-sew skirts so here is my first dress of 2015, Burda Style 7482. It’s a semi fitted dress which I’ve been meaning to make for a while. Unfortunately the pattern is discontinued but you can purchase it from The Pattern Pages. I used a wool blend and cut a size 14. I didn’t make a muslin as I’m too lazy and the packet measurements are usually quite accurate. But if I were to make this again I would grade out the hips to a size 16 and take the waist in at the back to a size 12 for a better fit. The dress was very simple to put together but there was a lot of sewing to do as the dress has pockets and is fully lined. 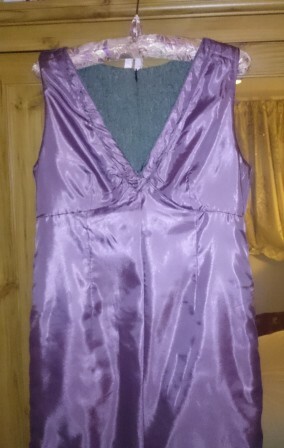 For the lining I used anti-static taffeta fabric, which I machine stitched to the invisible zip. The instructions called for hand sewing but I have never done this. Why hand-sew when you can use your machine? The same applies to the dress hem, for which I used the machine blind hem method. 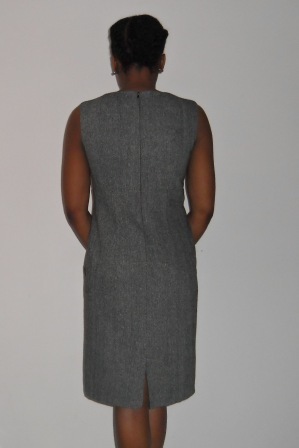 What I love about this particular pattern is that it has darts on the back neckline so there is no dreaded neck-gape. I’m going to use the back pattern pieces as a template for all my dress patterns that gape at the back. This will save me a lot of dressmaking heartache. There are a couple of things that I didn’t like about constructing this dress. First are the shoulder seams of the dress and lining, which according to the instructions, have to be sewn after the lining has been sewn to the zip. I just found this a bit odd and quite tricky to achieve accurate results. Also it had to be done by hand! As you can imagine I wasn’t overly excited about this. The next time I sew this dress I will sew the shoulder seems normally and then do the pull-lining-through-the-shoulders method. This is far less stressful and produces great results. 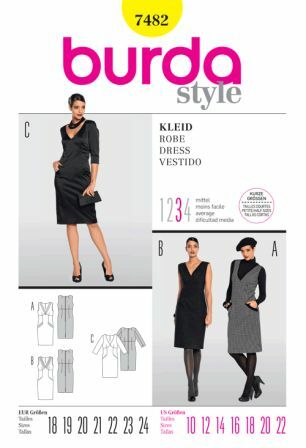 Tags: Burda Style 7482, Burda Style Pattern Projects, Dessmaking, Dress, fashion, lined dress. Bookmark the permalink. Wow looks good. Purple lining all the way! I really…. really need to get some practice lining garments! Oh, I like this! It’s kinda business-y! If I may offer some advice, I think you actually need to do a sway back adjustment. 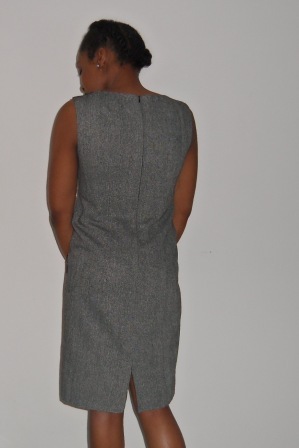 In addition to it being small in the hips, those drag lines could suggest that the back waist is just too long. It’s a great style for you, though!